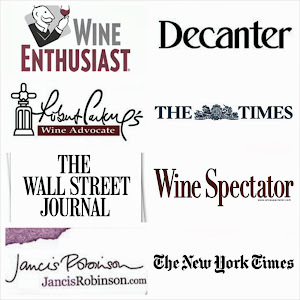 the vilafonte wine blog: Vilafonté nominated as Winery of the Year!!! We are happy to announce that Vilafonté has been nominated for ‘New World Winery of the Year 2005’ by Wine Enthusiast Magazine in the USA. Actually, we can't believe that we have been nominated amongst such illustrious company ... but hey, we'll take it! We are proud to have been nominated as one of the 5 finalists alongside such great names as Jim Barry & Clarendon Hills from Australia and Osyoos Larose in Canada. We are delighted that we are one of TWO South African wineries nominated with Vergelegen completing the 5 nominations. Also in a peculiar double whammy, well done to Bartholomew Broadbent and his Team at Broadbent Selections (our partner!) for being nominated as US Importer of the Year 2005. You deserve it guys! Hi, I was just blog surfing and found you! I just stopped to say hello, I am a horse racing enthusiast it may not be of interest to you but if it is then this may be good Ratingnot a related site. It isnt anything special but you may still find something of interest.